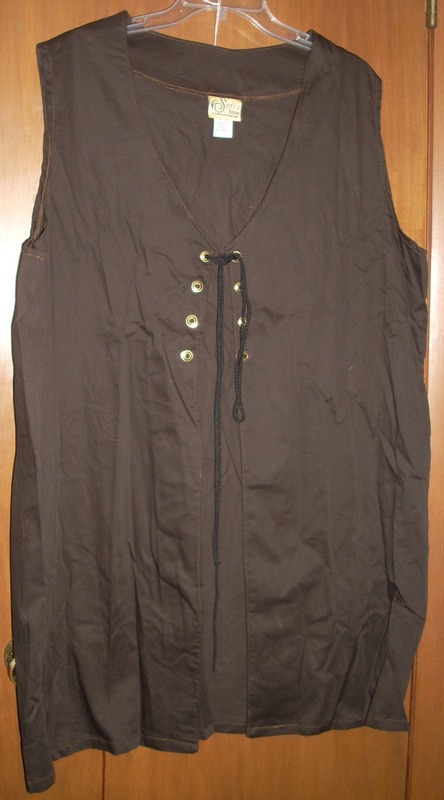 A common garment of the Renaissance, this vest can be worn over a shirt for extra warmth and style. 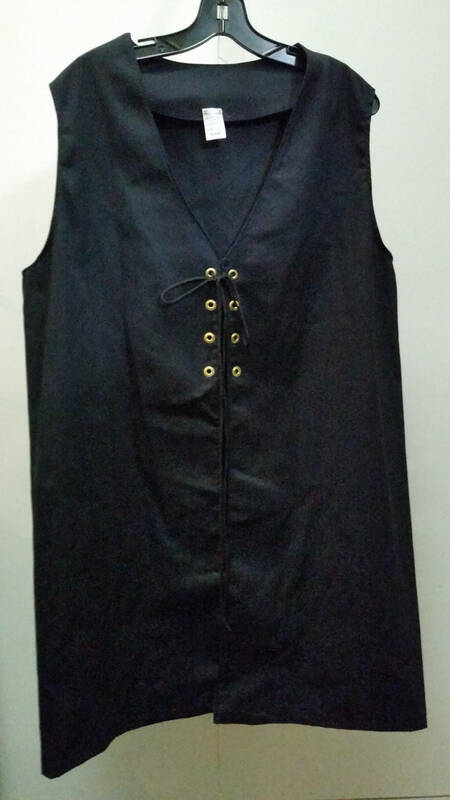 This vest is made with of cotton twill material for ease of comfort and care and to keep the cost down. 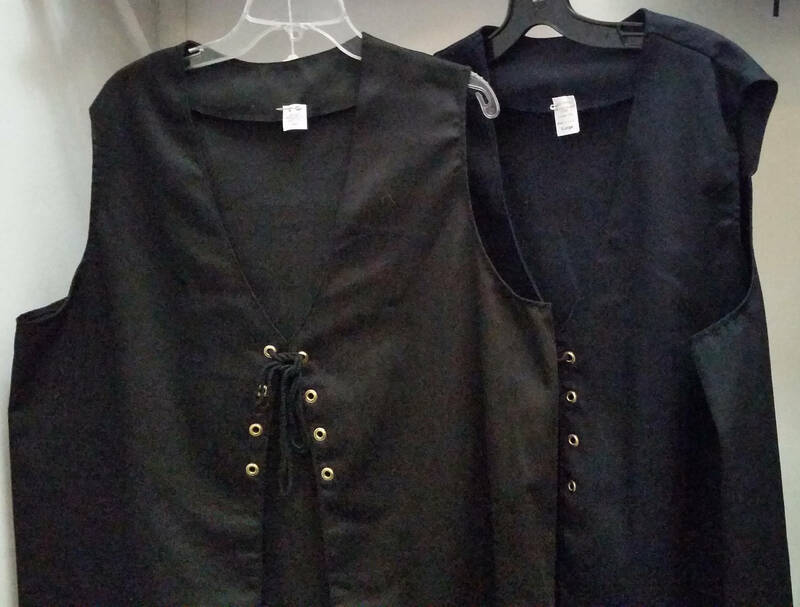 These vests are machine washable on cool, gentle, tumble dry. They are currently available in size S (chest 35-37"), M (38-40"), L (41-44"), XL (45-50"), 2XL (52-56") and 3XL(54"-60"), 4XL (58" -62), 5XL (60" - 64"). It can be worn open or with a gap if you need it to. The colors shown in the pictures are Navy blue (lighter 1st 2 pictures) Navy Darker, Black, then Black and Navy in same photo to show how close they are to each other, Brown, Burgundy and Green. The dark navy may not be available after what I have in stock is sold. 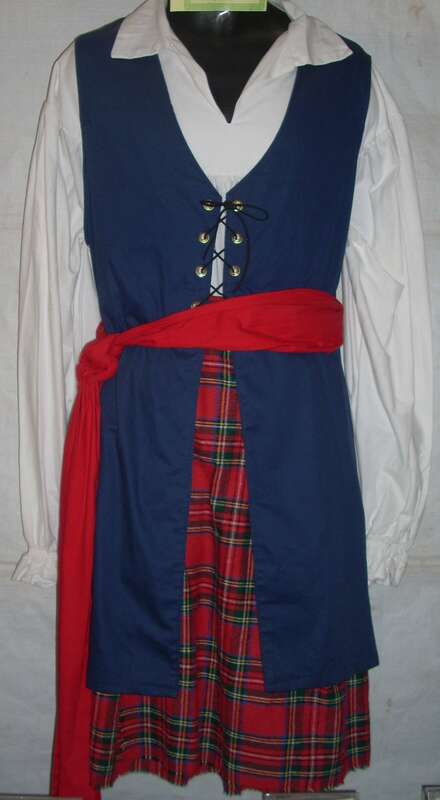 The above picture is to show how it looks when worn. 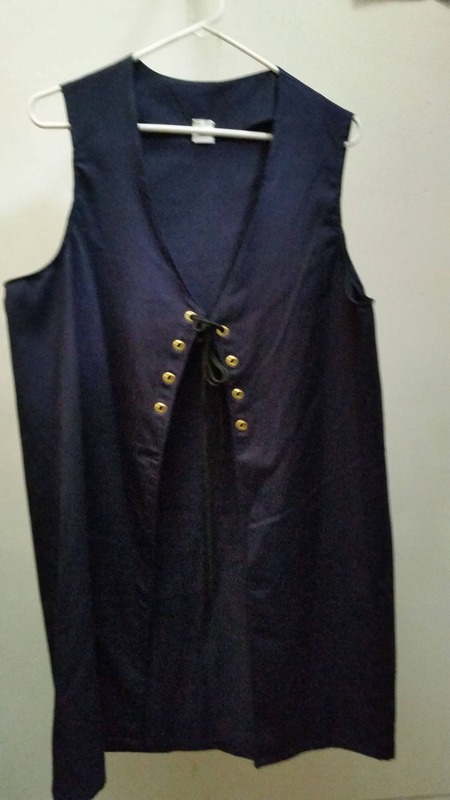 My friends who make these tell me that they have no control over the shade of Navy blue material that they get in from their fabric supplier so Navy may vary from batch to batch and are usually darker than the picture of the model. I have listed which ones are really dark compared to lighter navy in the inventory drop down menu. 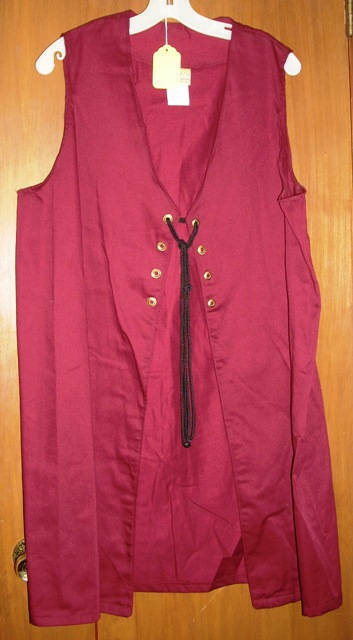 I also have faux versions of this vest listed elsewhere in my store. 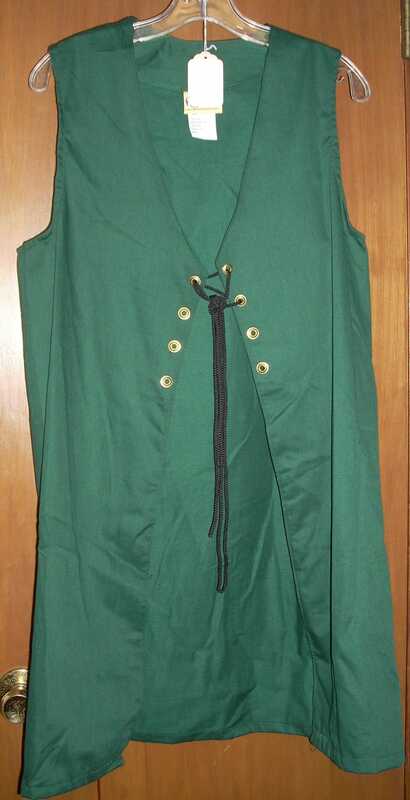 Check out my other items if you need a shirt or pants to go with your vest. The shirt shown in the picture is the Men's Drop yoke shirt and the pants are called Trews. Shipping will depend on your zip code and you may use the shipping calculator to figure your exact costs. I take PayPal and all major credit cards as payment. I also ship internationally but the buyer is responsible for any customs charges on their end. International orders cannot be insured without a phone number so you ship at your own risk if you do not provide one.